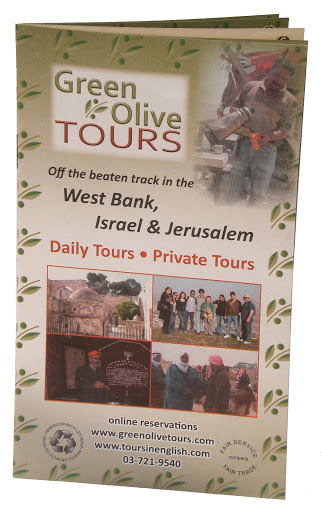 Advertise in the next Green Olive Travel Guide. 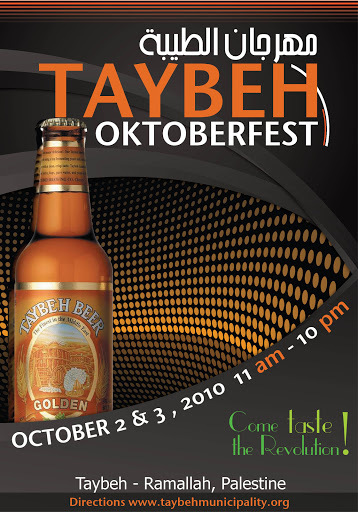 Once again it is time for us to celebrate Oktoberfest in Taybeh. This year's celebration will bring together thousands of Palestinian, Israeli, and international visitors for two days of culture, music, conversation, and of course some very fine beer. See you at the festival. Taybeh is the only all-Christian village in the West Bank, and home to the only Arab-owned micro-brewery in the Middle East, established in 1995 by the Khoury family. The brewery produces fine beers on a par with the best microbreweries in Europe and the USA. Taybeh is also famous for its handmade olive oil soap, ceramic 'peace lamps', and crafts cooperatives. Don't miss this opportunity to come together with like-minded people to celebrate Palestinian culture and achievement. "Do not wait for leaders; do it alone, person to person"
Click here for more information and online bus reservations.